It goes without saying that a football club doesn’t run itself, and while the players are to the general public the most visible club representatives, there are a number of other people working away behind the scenes to ensure that a match goes ahead at all on a Saturday. 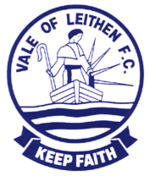 Whether it’s running the team, organising fund-raising events, securing sponsorship, balancing the books or putting up the goal nets on a Saturday, Vale of Leithen FC are privileged to be able to call on a number of people who volunteer their time for the advancement of the club, and this section of the website is dedicated to the frequently unsung team off the park. Many people have made a significant contribution to the club’s history, the list below is by no means complete. Team captain who was with the club for ten years during the 80s and 90s. Current Club President and with having formerly been player, chairman, groundsman, treasurer and head of the supporters club, there have not been many roles he hasn’t occupied in 60 years of association with the club. Player who completed ten years with the club during the 70s and 80s. Spent a decade at the club as player, coach, assistant manager and co-manager. Held the position of Secretary for 42 years, from 1893 – 1934. Spent over a decade at the club as player (captaining the side for a spell), assistant manager and manager and is currently club chairman. Goalkeeper who played for the club in their first games abroad, in Belgium in the 90s. Ten years service as a player during the 70s and 80s. George Hogarth Vale’s all-time leading scorer who netted approximately 260 goals during the 80s and 90s. Manager who led the club to many trophies during Vale’s spell of success in the late 80’s and early 90’s. Record holder for most goals in a single season for Vale, scoring 49 during season 1956-57. Innerleithen legend who has been a player and assistant manager on several occasions. Local player, who went on to become Manager on two separate occasions. Now Vice-Chairman. Goalkeeper who was arguably the greatest player to represent Vale, went on to play for Arsenal. Midfielder who completed ten years service during the 80s and 90s. A club legend and a man who many consider to be Mr Vale, Eddie was a childhood fan of the club, former player, Secretary and President and was involved in some capacity with Vale for an incredible 69 years before his death in October 2003. Vale manager from 1975 to 1985, turned the club’s fortunes around dramatically.